to or in support the cause by reaching out to the young adults. Through the use of an extensive social media, print and direct marketing campaign we intend to broadcast the event on a massive scale. 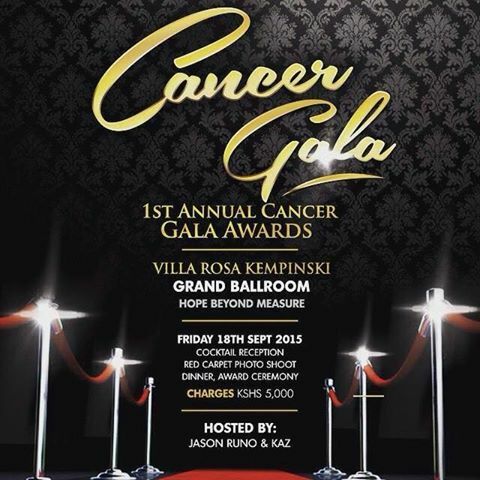 Why Sponsor The Cancer Gala? We’re pleased to make the early bird registration rate available for another two weeks. We know that many of you were out of the office for vacation (hope you are feeling well rested) and haven’t had a chance to register yet; now you have until 20 August to register and pay to still be eligible for the early bird rate. From 21 August, the standard registration rates will apply. Attendees who have registered but not paid by then will be required to pay standard registration rates. Click here for more information on AORTIC 2015 registration fees. 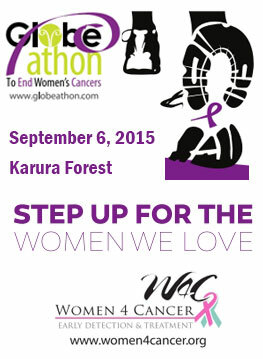 Women For Cancer will host the 2015 edition of Globe-athon on Sept 6, 2015. Globe-athon is a global movement of people all over the world working to raise awareness for, and ultimately increase early detection and prevention of gynecological cancers. Started in 2013 in Washington DC, the movement has grown into a global event with countries from all continents participating. Globeathon Kenya Chapter is Hosted by Women 4 Cancer since inception in 2013. On Sunday the 6th September 2015, people from all over Kenya will join us as we host the Kenya Chapter of the Globe-athon 2015. Women 4 Cancer Early Detection & Treatment is the Walk Champion in Kenya. In its 3rd Year running, we are targeting 2,000 Participants from across Kenya. Join us as we represent Kenya! Cancer Awareness Centre of Kenya (CACK) has been conducting Cancer Awareness campaigns and screening programs to sensitize the community on early detection strategy of Cancer and other related terminal diseases. This has been very successful as many people have benefited from these activities through early detection, diet interventions, physical fitness and healthy lifestyles. Over 20,000 people have benefited from these activities. This creates first level screening minimize the risks that come with cancer if not detected early. They have organized an annual event on Saturday 24th October 2015 at the Queen of Apostles Catholic Church, Thika road opposite Safari Park. .
KENCASA will host the 2nd edition of Relay For Life on 10th/11th October 2015. Family- friendly environment for the entire community. The Nairobi Hospice will have the Handle Messiah concert at the Bomas of Kenya on 10th October 2015.